Nashville area building inspections completed by HABITEC Home and Building Inspections, LLC, involve inspecting the roof drainage systems. These systems are critical to maintain the condition of the foundation and avoid issues with mold. These components of the roof drainage systems commonly take the form or splash blocks, plastic extensions across the ground, plastic extensions under the ground, or rigid underground piping systems. Look at the pic below of a downspout to extension system at a Church. This is a metal downspout connecting to a plastic extension that goes out across the ground. What’s wrong? HINT: Two things need to be mentioned to the Client. 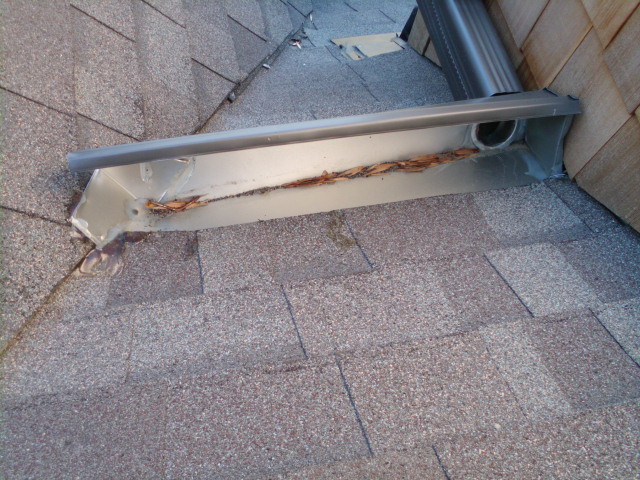 ANSWER: First, it should be apparent that the downspout-to-plastic extension connection has separated and should be repaired. 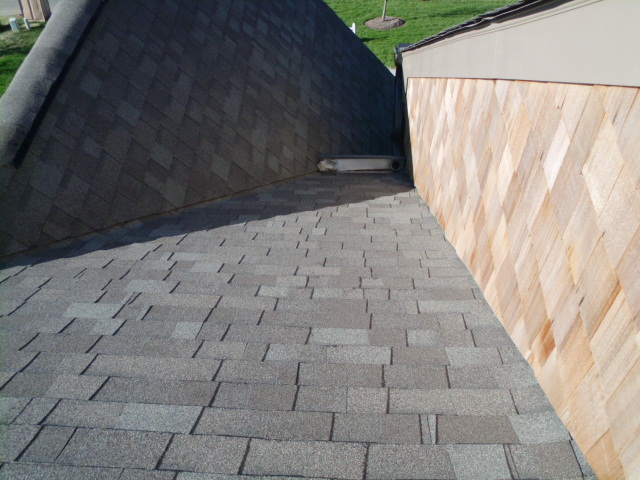 Failure to do so will allow water from the roof to be deposited at the foundation wall. This defect is known to cause foundation movement and resultant structural failure as well as water intrusion into crawl spaces and basements. What may not be so apparent is the open plastic underground drain pipe in the background and below the downspout. What’s up with that? Some may think this is there to catch the downspout water, which was true at one time. Originally the downspout connected to an underground drainage system that carried water away from the building to hopefully a functioning termination point. But, in this case, that underground system has been abandoned and the above ground extension has been installed to carry the roof drainage away. This is OK, but the Client who is buying this property needs to know that, in addition to the disconnected downspout, there is an underground system present but that it has been abandoned, versus being repaired to work properly. Comments in this blog posting are the copyrighted intellectual property of Richard Acree, President, HABITEC Home and Building Inspections, LLC, and are intended to educate and otherwise assist home owners, sellers and buyers, building owners, sellers and buyers, realtors, real estate investors, property managers, and lenders in the process of owning, buying or selling homes or commercial buildings. HABITEC is a residential (home) and commercial building inspection company serving Middle Tennessee including Nashville, Brentwood, Franklin, Murfreesboro, Smyrna, Mt. Juliet, Hendersonville, Dickson, Belle Meade, Columbia, Spring Hill, Lebanon, Gallatin and more! In addition to building inspections HABITEC offers Environmental Services for mold assessments, radon testing and water quality analysis. Additional information about HABITEC can be found on our website at http://habitecinspections.com, or call 615-376-2753.